(l-r) KC Mayor Sly James and STL Mayor Francis Slay appear at Mo. Capitol to speak out against effort by GOP lawmakers to pass gun control nullification legislation. The mayors of St. Louis and Kansas City traveled to the the Missouri Capitol Monday to speak out against legislation to nullify federal gun laws within the Show-Me State. St. Louis Mayor Francis Slay, a Democrat, calls the legislation "absurd, embarrassing and reckless." "Missouri's lax gun laws (have) flooded our neighborhoods with cheap weapons," Slay told reporters at a press conference in the Capitol Rotunda. "If that isn't bad enough, this legislation goes a step further by making it even harder for our police and prosecutors to partner with federal authorities to fight violent crime." The Senate version of the Second Amendment Preservation Act, SB 613, would make it a misdemeanor for federal officers to enforce federal gun laws that conflict with a Missouri resident's "right to keep and bear arms." The House version, HB 1439, doesn't make it a crime, but instead makes those trying to enforce federal gun laws liable to being sued in court. Kansas City Mayor Sly James says that his city, along with St. Louis, is experiencing "slow-motion mass murder," and that the notion that nullifying federal gun laws would make Kansas City and St. Louis safer is "absolutely absurd." "Mayor Slay and I represent the two largest cities in this state, and our cities have crime and violence issues unlike other parts of the state," James said. 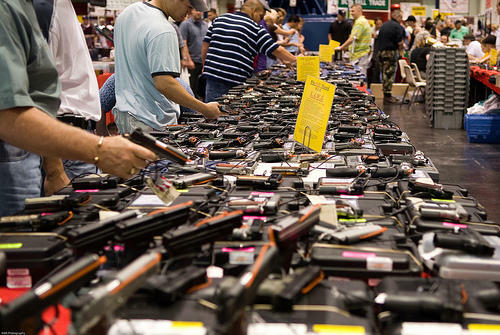 "State law already severely impedes our ability to keep handguns out of the hands of idiots and felons, and this legislation simply takes that to an unreasonable extreme." Senate Bill 613 is currently on the Missouri House's third-read calendar, meaning that it could be taken up and passed this week. If it's passed as-is without any amendments or substitute versions, it would then go to Gov. Jay Nixon's desk. Likewise, House Bill 1439 is currently on the Missouri Senate's third-read calendar. However, the Senate has substituted its own version of the House bill, meaning that if passed it would go back to the House. There's no word yet on which version of the nullification bill Republican legislative leaders will choose to advance. Nixon vetoed a similar bill last year. 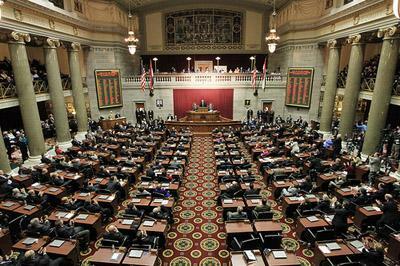 The Missouri House succeeded in overriding his veto, but the effort fell short in the Senate when President Pro-tem Tom Dempsey, R-St. Charles, and Majority Floor Leader Ron Richard, R-Joplin, voted against a veto override. The 2014 regular session ends in less than three weeks -- at 6 p.m., May 16. Without one word of debate, the Missouri Senate Thursday passed legislation to nullify federal gun-control laws in Missouri. The Missouri Senate has stripped an amendment from the gun-control nullification bill that would have required an individual to report a stolen gun within 72 hours. The National Rifle Association is taking some heat from two Missouri state senators over legislation to nullify federal gun control laws within the state. 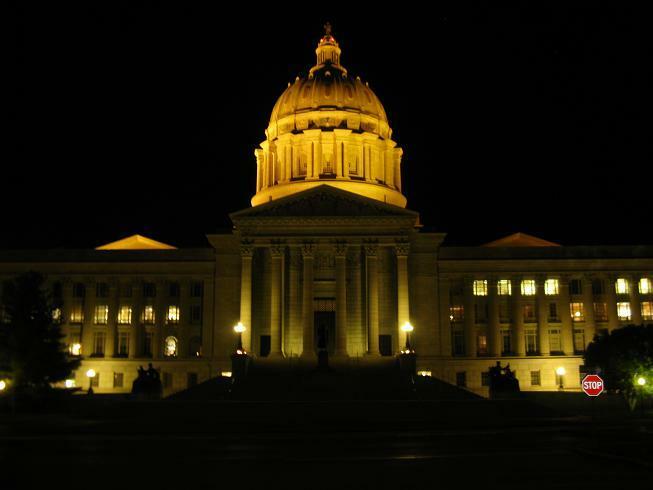 The Missouri Senate has given first-round approval to legislation to nullify federal gun-control laws.